Following concerns over the perceived negativity of the media towards Cornwall Council in 2011, Trisha was asked to deliver a campaign to raise the profile of the authority and councillors among the public and the media over a 12 month period. Activities included the introduction of a monthly Leader’s phone in on Radio Cornwall; the development of chairman and leader’s blogs to communicate directly with local residents; a new fortnightly column by cabinet members in the local papers; the webcasting of key council meetings, and a more focused use of Twitter and Facebook to highlight positive achievements. Trisha also set up a new fortnightly residents’ e- newsletter to provide information on council services and activities and wrote a series of features on the positive achievements of the council and the work of the local members, resulting in the publication of a double page in the regional daily paper. 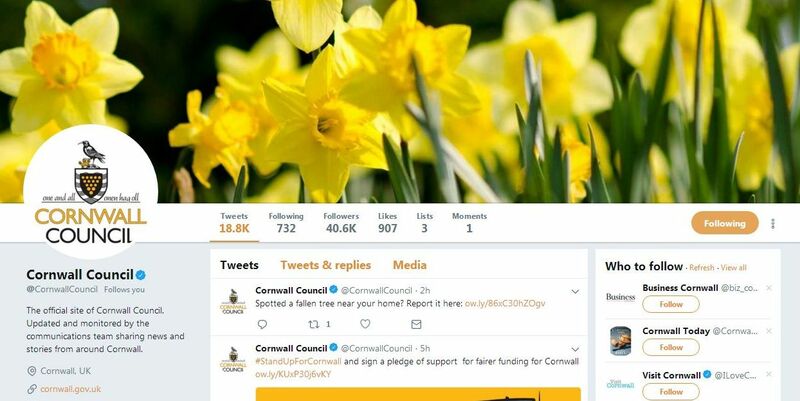 The campaign led to a significant increase in the number of calls to the Leader on the Radio Cornwall phone in, together with a rise in the number of Facebook and Twitter followers, and a shift to more positive media coverage.